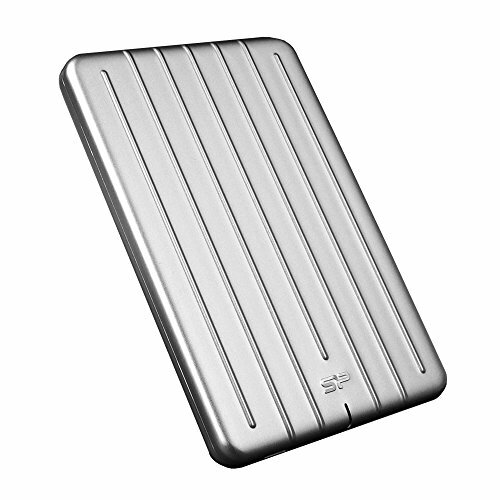 The thinnest military-grade shockproof external hard drive. Sturdy aluminum casing with scratch-resistant surface treatment. Modern grooved appearance with extremely slim and lightweight design. LED indicator enables users to easily recognize the connection and transferring status. SuperSpeed USB 3.0 (USB 3.1 Gen 1) interface, backward compatible with USB 2.0.